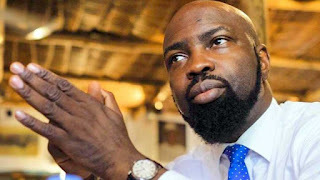 Chocolate city Boss, Audu Maikori, who has been going through hard times with the Kaduna State government over an unverified report by his driver, reportedly collapsed at the Muson Center, where he had an interactive session with Mo Abudu and participants of the on-going 2017 Women in Management, Business and Public Service (WIMBIZ) holding at Muson Center. present at the event center. He has however been admitted at St Nicholas hospital for proper medical care.